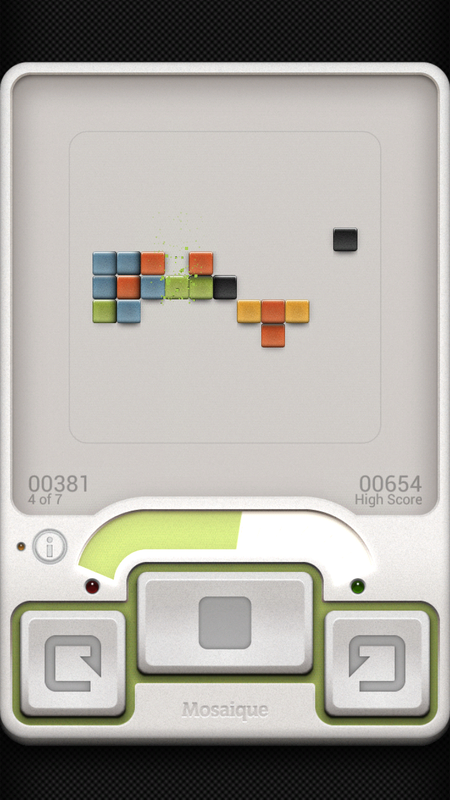 There are no shortage of puzzle games involving blocks, and Mosaique is the latest block-based puzzler to grace our screens. It takes a minimalistic approach to things, and it’s the pride of Vraxis moon colonists. That’s right, it’s a puzzle game made by moon men, and after spending some time with the game it’s pretty safe to say it’s out of this world… Mosaique is a game about clearing blocks, but there’s no timer and no need to hurry. It’s just you, a board full of colored blocks, and a few buttons. You’ll use two buttons to rotate your cursor around the playing field while third button shoots. If the blocks are the same color they’ll be destroyed, and if they aren’t the blocks will switch places. This allows you line up combos which adds to your score, and fill up your shot gauge. The shot gauge goes down with every shot you take, but you’ll get a bit of juice back each time you successfully clear a line of blocks. If the gauge dwindles down to zero, your game is over. If you max out your shot gauge, you’ll get a power shot which is the only power-up in the game. Did we mention the shot gauge has to last through the entire game? It does, and you’ll also have to deal with unmovable blocks and vacuum tiles as well. 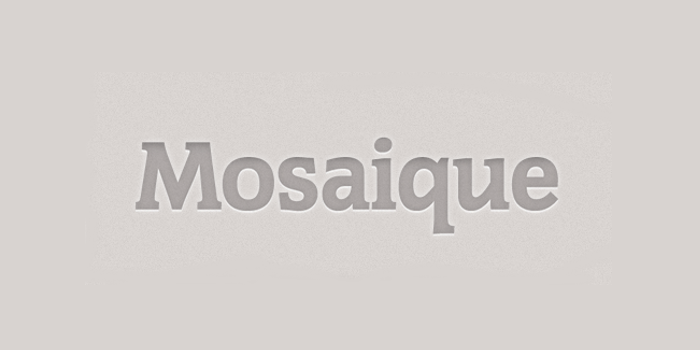 There are only 7 levels in Mosaique, and your goal is to make it through all of them as efficiently as possible. Each level is randomly generated so you’ll get a different game each time; you’ll also get a bonus if you play and clear the game for 7 consecutive days. There are no extras to speak of, but you can turn on expert mode if you want to kick things up a notch. 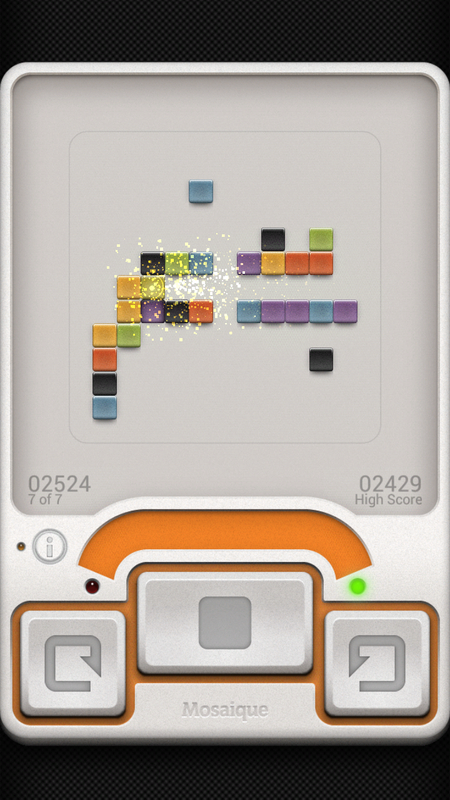 Some puzzle games are all style with no substance – Mosaique has plenty of both. The muted colors and soundtrack suit the game to a tee, and it’s one of those games you can play for a few minutes or several hours. 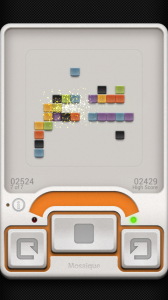 If you’re looking for new puzzler, Mosaique is definitely one you’ll want to look into. 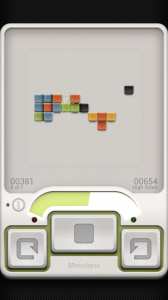 You can pick up Winning Blimp’s Mosaique for $0.99 on Google Play.